Trainees in groups having discussions on Japanese culture classes. Vietnam has the most number of Japanese language learners in Southeast Asia after Indonesia and Thailand. "NIHONGO Partners",* a dispatch program conducted by the Japan Foundation Asia Center from 2014 that supports Japanese language education in secondary schools, has gained in experience and deepened the collaborations with local educational institutions. 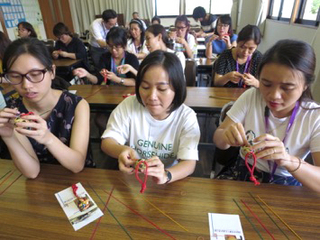 An "Intensive Training Program for Counterpart Teachers of the 'NIHONGO Partners'" for Vietnamese Japanese language teachers was held at the Japan Foundation Japanese-Language Institute, Urawa for two weeks from the end of July 2018. We interviewed the Vietnamese teachers who took part in this program and are accepting NIHONGO Partners and teaching Japanese language classes together. We also looked at the information from the Japan Foundation Center for Cultural Exchange in Vietnam to prepare this report on the progress and status of Japanese language education in Vietnam. Japan enjoys excellent relationship with Vietnam not only in the political and diplomatic front but also in economic and other fields, and the exchanges are expected to further expand and deepen going forward. Moreover, the Vietnamese people have a sense of affinity to Japan, and have high interest and trust in Japanese products and services. There is also a broad layer of people, led by the younger generation, with myriad interests ranging from pop culture such as manga and anime as well as fashion to art and literature. Against this backdrop, the number of Japanese learners and those wishing to learn the language has been increasing. According to the results for the Japanese Language Proficiency Test for 2017, 71,242 people took the exam in Vietnam, the most in Southeast Asia, which shows a dramatic increase of nearly five times the 14,317 people who took the test in 2011. Further, a "National Foreign Language Project" is being implemented in primary and secondary education in the country reflecting the Vietnamese government's stance of attaching importance to foreign language education. This reflects the Vietnam government's focus on foreign language education, and is aimed at building and strengthening relationships with foreign countries by increasing the human resources proficient in foreign languages, and leveraging that to improve economic development and vitality of the Vietnamese society. As part of concrete implementation of this project, Japanese language is being taught currently in some 70 secondary schools in the eight regions of Hanoi, Haiphong, Hue, Da Nang, Qui Nhon, Ho Chi Minh City, Binh Duong, and Ba Ria-Vung Tau. In addition, in primary education, Japanese is positioned as first foreign language, similar to English, and is being taught in five primary schools in Hanoi and Ho Chi Minh City with four classes a week in an ambitious trial program that was launched in September 2016. This trial period will be over in June 2019 with the passing out of the fifth graders, the last year for primary education in Vietnam, and there is great interest in the future developments. 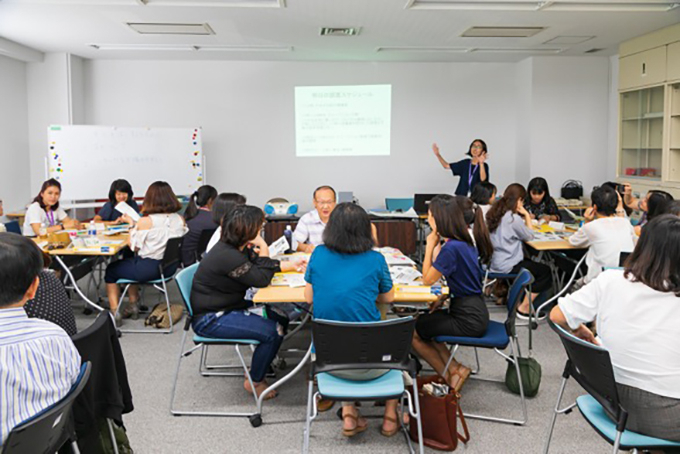 Nguyen Thi Lieu, who participated in the "Intensive Training Program for Counterpart Teachers of the 'NIHONGO Partners'" in August 2018, said that some parents had raised concerns initially when the Japanese language education began. "There was even a parent who said it was not only difficult to learn Japanese, but also that he didn't see any benefit in learning it and wouldn't let his child learn it," recalls Ms. Lieu. Vietnam launched the "Japanese Language Education in Secondary Schools Pilot Project" in 2003, and Japanese is being taught as an official foreign language subject since 2005. The school system in Vietnam follows a 5-4-3 format with five years in primary school (from ages 6 to 11), four in middle school (11 to 15) and three in high school (15 to 18). Students who started learning Japanese from 2005 joined junior colleges, universities and other higher education institutions from the academic year starting September 2012 after undergoing a seven year Japanese education through middle and high schools. 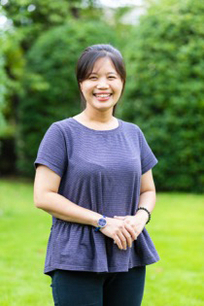 Nguyen Thi Thanh Thuy, who has been teaching Japanese language at the Chu Van An High School in Hanoi for 11 years, says that she started getting the feel that the students' awareness had changed around 2013 when Japanese education entered the spreading phase. The Japan Foundation Asia Center's "NIHONGO Partners" started precisely in this period in 2014, when the students' interest towards Japan and Japanese language had been nurtured. The number of people dispatched increased gradually from the 10 people in the first year to 12 in the second year and 26 in the third, and in the fourth year, there were 29 NIHONGO partners in eight regions, who landed in Vietnam in August 2017 and returned in June 2018. Further, the fifth year, which started in August 2018, has 35 people. Currently in Vietnam, a significant feature is that one "NIHONGO Partners" member goes around multiple schools thereby participating in all the secondary schools where Japanese language education is being implemented (excluding new schools, etc., where survey is yet to be conducted). Nguyen Thi Lieu (left) who has been teaching at the Phan Chau Trinh High School in Da Nang and Nguyen Thi Thanh Thuy who has been engaged in Japanese language teaching at the Chu Van An High School in Hanoi for 11 years. Both Ms. Lieu and Ms. Thuy point out that "the teaching style becomes diverse and the class atmosphere becomes better" with the presence of NIHONGO Partners, describing a good point of the "NIHONGO Partners" program. Introduction of Japanese culture by NIHONGO Partners was particularly popular with students. For example, experiences such as making traditional Japanese tea with a bowl the NIHONGO Partners brought along, making origami and even bringing rice to make sushi, which the Partners who came from Japan perform in the class for students to experience, give them an enjoyment that is different from that in classes for other subjects. "What the students learned through their experience remain etched in their memories for a long time. One of the Partners' roles is to convey what they cannot learn in regular classes, through books, or on websites," says Toshiro Sano, who was dispatched to Vietnam as one of the NIHONGO Partners. The key to making team teaching work in class "first of all is to build a relationship of trust with the local teacher. It is important for the Partners to understand and acknowledge the teaching method of the teacher and to be aware that their role is to supplement class," Mr. Sano says. 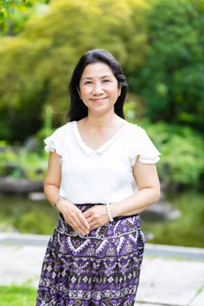 "What you gain by chatting and communicating with students is significant," says Ms. Thuy, attaching importance to the roles played by the Partners. They are also expected to play an active role in growing the students' skills such as in practicing group work from the perspective of culture. Toshiro Sano (left), who says the Partners' role is to complement the class taught by local teachers. 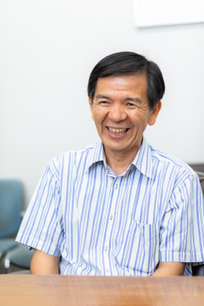 Makoto Motohashi, who deepens ties with students through songs. What the "NIHONGO Partners" aim for--improvement in the students' Japanese skills, offering of opportunities for them to come into contact with Japanese culture and boosting the students' motivation--is nurtured in interaction based on communications between the Partners and students and the Partners and teachers. Makoto Motohashi, who was dispatched to Vietnam as one of the "NIHONGO Partners" says he is good at playing the guitar and actively utilized understanding of culture through songs. Various Japanese pop songs are popular in Vietnam. Mr. Motohashi introduced these songs in the class using a video sharing website. He also sparked the students' interest by answering their simple questions about Japan using the message function of Facebook and other means even outside of school time. "Utilization of Internet services as a tool was unimaginable until a little while ago but now it has helped to widen the class. 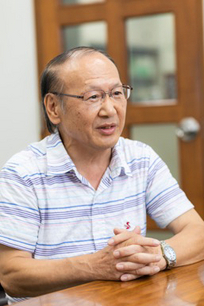 I feel that making good use of them makes it far easier to build relationships of trust with students and deepen the ties," says Mr. Motohashi. It appears that the NIHONGO Partners are also contributing to improvement in the capability of Vietnamese Japanese language teachers. "Before accepting the NIHONGO Partners, Japanese language teachers in Vietnam also did not have opportunities to talk to Japanese. The Partners are contributing to improvement in local teachers' levels," added Ms. Lieu. 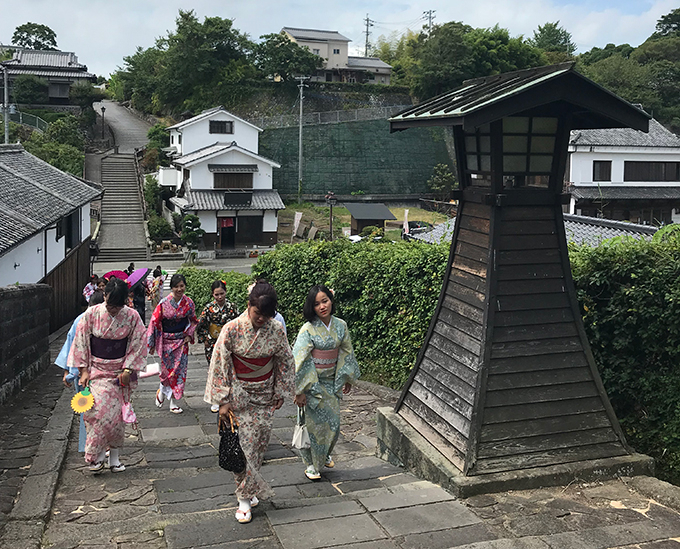 As counterparts in the "NIHONGO Partners" program, Ms. Lieu and Ms. Thuy participated in about two week long program including cultural experience, school visits and home visits in addition to the classes at the Japan Foundation Japanese-Language Institute, Urawa. The counterpart training has been held every year since fiscal 2015 and a total of about 350 teachers from Southeast Asia including 51 teachers from Vietnam have participated in it (table). While Japanese language education and learning expand, various issues such as inability to ensure sufficient number of teachers have become apparent. "Survey Report on Japanese-Language Education Abroad 2015" reports that there are 1,795 teachers for 64,863 students of Japanese language. One of the reasons why the number of Japanese language teachers is not increasing is a tendency that the people who studied Japanese in higher education aim to join Japanese companies in Vietnam instead of becoming a Japanese language teacher. "We hear that the salary of Japanese language teachers is lower than working for Japanese companies and the difference is severalfold. And the additional value of people who can speak Japanese is higher than English speakers and they receive favorable treatment also in terms of salary. Then, most of outstanding personnel with Japanese language ability prefer to work for companies. It is pleasing news that Japanese-speaking human resources are receiving better treatment and are successful in the society but ...," says Nobuaki Iizawa, director of the Japanese Language Program Section 1, the Japan Foundation Asia Center. In a new development, there are cases where students who studied Japanese in classes taught by NIHONGO Partners become Japanese teachers and reunite with the Partners in the counterpart training in Japan. "The name 'NIHONGO Partners' also carries our wish that the students who studied Japanese in Vietnam will come to like Japan and become a partner of Japan," says Iizawa. The "NIHONGO Partners" is celebrating its fifth anniversary. The methods for team teaching and proposals for teaching contents have been gradually accumulating and are being utilized as assets as they are being shared in the counterpart training and at briefing sessions. True partners of Japan for the future are being nurtured in Vietnam with continued efforts to create enjoyable classroom experiences permanently etched in the students' minds. 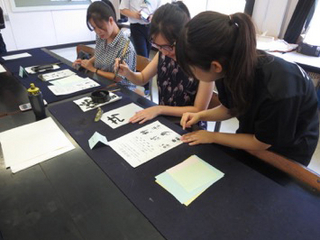 The trainees trying out calligraphy at Beppu Tsurumigaoka High School, Oita Prefecture (left) and concentrating on making bamboo handicraft in Beppu City. *The "NIHONGO Partners" program dispatches Japanese citizens to mainly secondary schools in Asia, primarily to Southeast Asia, in order to support the local Japanese language teachers and students as partners. The assignment of NIHONGO Partners is not only to support the educational activities of the local Japanese language teachers as assistants but also to carry out cultural interaction by introducing the Japanese culture to the students and local people. At the same time, this is also a mutual interaction project wherein the NIHONGO Partners learn the language and culture of their assigned country and introduce it to Japan.